restnrileks : ): Ahhh...I am cONfused!! Ahhh... i am confused. 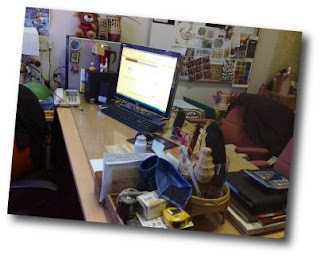 Should i write about my cluttered office room? Ahhh... i am confused. Should i write about my unfinished wall doodle? Ahhh... i am confused. 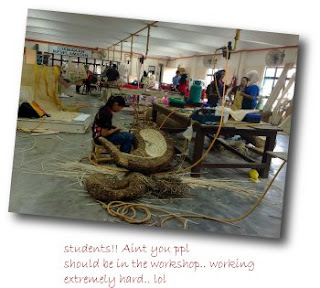 Should i write about my students final rattan projects? Ahhh... i am confused. Should i write about my awesome restnrileks online friends? Anyway, i dont know how some people have the energy to be constantly online. Oh Gosh! I envy them you know. 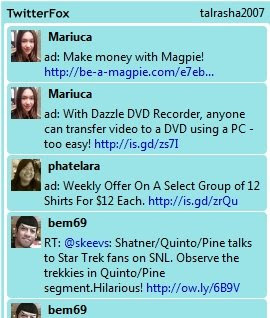 Always i hear this "tweet tweet tweet" sounds which later will be followed by some kind of promotional text. Yet, here i am.. crawling.. at an exceptional superspeed (of course, comparing to a turtle that is.. :D ) trying to jugle my daily dose of web surfing, forum reading, blog hoping, and entrecard dropping. Plus that chopping thing game (FCC) which i always loose. Haha. Speaking of entrecard, i think i wont be able to drop like 150.. err no.. 100.. err wait 50 droppings per day. Dont get me wrong, i love entrecard but i just dont have the energy to do just that anymore. But for sure, i will still hop hop hippity hop on certain days. 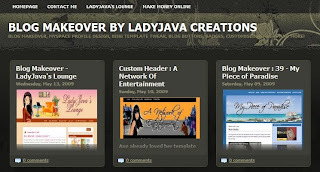 I am thinking too of dropping few widgets like My Awesome Readers (My BlogLog) and Blog Malaysia Directory. What do you think? Should I? Then there is this Blog Rolling which seems not to function properly. I cant see my "Kaching" (which tell me or my readers that a blog has been updated) and i wonder why. Oh.. need to do some trimmings on the list too. Oucchhh! But dont you worry, restnrileks beloved friends are safe n sound. Whoaho!! and new ones too. Yippie!! On a second note, the weather was awesome in the late afternoon. Awesome as not in a clear bright sunny sky. Hoho!! 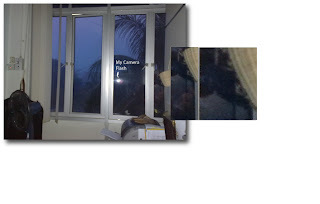 It was raining, loud cracking thunderous sound with dark murky clouds above us . The wind was exceptionally strong. I did take some shots, somehow, i left them in my office desktop. Darn it Rizal!! We experienced couple short bursts of power failures. Shhzzttt buzzzz!! buzzz!! Lights went on and off. The whole office corridors were filled with stingging sounds of back up powers. Eeeeettt!!! Eeooottt!! eeetttt!! eooottt!! Winds were woooinggg outside my window. Out of boredom, i decided to snap some pictures. And in one shot, here what i ve found. Showed to couple of my colleagues. Eerrieeee!! It could be lights n pixels playing tricks on my mind. But knowing IKN with couple of its ghostly stories, ahaaaa, it could be the real thing too. Nevertheless, i am not saying it is real or it is not. All i am showing is just a pix. lol. Anyway, happy blogging, have a great day everyday ya. I am giving linky love here on restnrileks for first  commentators. Woot!! Woot!! Congrats LJ for being the First Commentator. Woot! woot!!. She is an awesome blogger. Armed with a cup of coffee, she does awesome makeover too. She did mine and I am a happier person now. lol. Hope on to her blog will yer (click the pix). Whoaho!! Congrats DenaiHati for being the Second Commentator. oo. Woot! woot!!. I am getting fond of his blog. Blog is in Bahasa Malaysia. Hope on to his blog will yer (click the pix). Whoaho!! Congrats Marvic for being the Third Commentator. Woot! woot!!. Finally you made it. Yayy Hope on to his blog will yer (click the pix). Whoaho!! LAst but not least, congrats Deb.. again.. Wah.. Kagum ni.. Tepuk Tangan. She manages to secure all my three posts. Hope on to her blogs ya. Whoaho!! Blogrolling now ok already.. only now no more one touch addition lah!! Rizal, apa yg dlm pic last tu? I've been zooming in and out of the photo but I can't seem to figure out whats in the pic. Apa tuuu? Rizal, why don't you make a blog post for each of the topics? banyak sikit heheheh. Wah I see my Spock face there as well. Nevermind, I found it. And yes, its scary. Eeeee...dah tenung gambar tu tadi, Rizal. Nasib baik tak nampak sangat kan? Wah so cool la ur office room Rizal, I can see a teddy bear oso! Smlm hujan 2 kali, today panas semacam je! Kena la bukak aircon besar2! ehhh mana ada.. biasa ajerr ofis tu tau marzie..
Ohh yer ker? Mcm tuu lain kali letak 18sg - ada unsur2 seram.. hihihi. Tapi cayalah nessa! sebab boleh nampak. Debs tak nampak. U know what, rizal memang suka kalau hujan.. best suasana..
hehehe rizal pastu amik gambar luar ek? ahh confused? why? bnyak nak di cerita kan? but i really want to read all about ur unfinished doodle! :D hehehe. Here pun kat Korea, hujan dri pagi sampai la ke malam ini. Asyik memerap jer kat bilik. Ahhh!! Membosankan. haha. itu doodle sudah tersangkut beberapa bulan dah. Nasib baik member jenis tak kisah. hehehe..
ohh monica.. i am still confused.. lol..
Oh Qshot? kene carik ni... Rizal tau buat blog makeover gak?